Watching MasterChef on Sunday night with our two dogs, got me thinking. "I wonder just how many people out there cook meals or treats for their pets?" Every now and then my wife does bake up a batch of home cooked doggy biscuits, and I wonder just how many other people do too. Please take a minute to answer the survey on the right hand side of this page, and we'll publish the results next month. 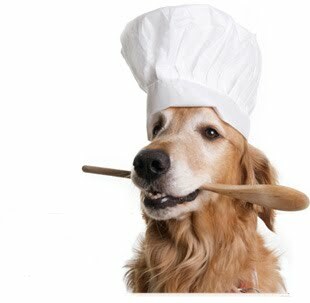 It will be interesting to see just how many pet lovers out there are cooking treats for their dogs, cats and other pets . If you've got a pet treat recipe you would like to share, why not email it in?